Which new kitchen is for me? 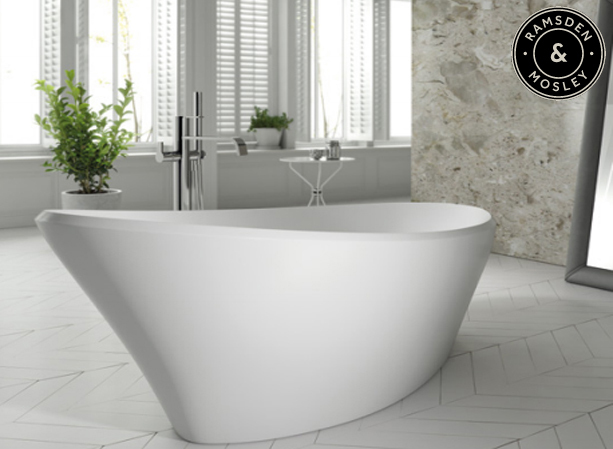 Master manufacturers Ramsden & Mosley offer a range of solid surface baths, manufactured from a mix of high grade polymers and natural minerals. Using modern equipment and artisan craftsmen results in a range of products that are technically superior. Prices from £1, 346 delivered to your door. » Buy from our kitchen and bathroom range, accessories and other products including our very popular bespoke Whirlpool baths – built to order. Returns, slightly damaged, ex- display and discontinued items, with discounted prices! Welcome to GW Interiors, a friendly, family run, local company, specializing in kitchens, bathrooms and bespoke Whirlpool baths. We are a Treforest based company located south-east of Pontypridd and just outside of Cardiff. 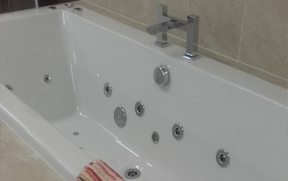 We have over 37 years experience in the kitchen and bathroom industries, employing local, skilled staff. GW Interiors is proud of its reputation for a high standard of service which we are pleased to confirm is regularly endorsed with recommendations received from our customers. 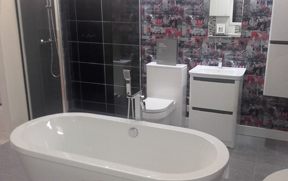 If you are looking for a new bathroom or a new kitchen, please do not hesitate to get in touch - we can offer everything from competitively priced bathroom suites to luxurious, fully fitted kitchens with the latest modern appliances. We offer a free design service so you can be sure you are getting exactly what you want, as well as a comprehensive fitting and installation service, covering everything including tiling, plumbing, lighting, electrical and building work. At GW Interiors, you don’t have to have an entirely new kitchen or bathroom. 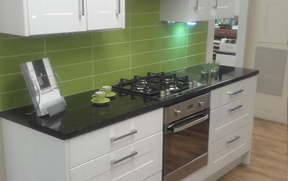 If you want to simply freshen up your existing one, why not consider a new worktop, door change or some new tiles. You will be surprised how small changes can make a big difference. We undertake projects of all sizes from large kitchen installations to small renovations. Pop into our showroom or give us a call and we will be happy to speak with you. 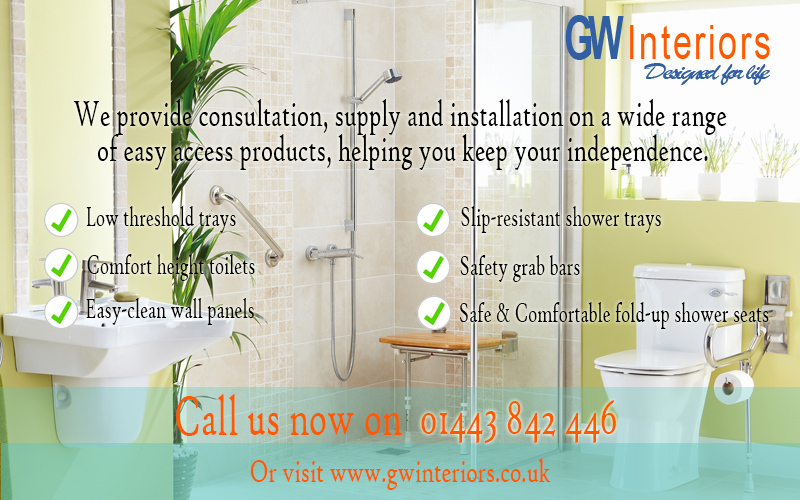 Click for more details GW Interiors can now measure, consult and supply products to help you to keep your independence. We have a wide range of products which will enable you to use the bathroom and to make showering more comfortable and bathing more accessible. Our products are designed to make daily tasks safer and easier.